On May 3rd, Spin released their list of the 100 greatest guitarists of all time. The list — which contained non-guitarists like Skrillex and omitted famed guitar players like Jimi Hendrix and Jimmy Page — was lambasted by most music writers I follow and the general populace, who accused it of being trollish clickbaiting and accused the magazine of being contrarian just for the sake of it. I find those accusations to be at least partially true, but at the same time found myself loving the Spin list, which took a tired subject matter and breathed some life into it with a different perspective. The first thing people need to know about any list, especially a music list, is that it’s subjective. This seems really obvious, but every time one of these magazines puts out this kind of list, there are always the commenters who need to step in line first and complain about how so-and-so wasn’t on the list, or that some guy was ranked ahead of some other guy. Don’t be fooled by the title: the Spin list was not intended to be an objective ranking of the greatest guitarists; it was meant to be a rethinking of what it even means to be a great guitarist, and a sort of counterargument to the Rolling Stone-led hagiography of 50s-70s music. The other thing the Spin list was trying to accomplish — and succeeded at — was exposing readers to different kinds of artists than you usually see on great guitarists lists. As someone who loves making music lists and reading them, I think that the ideal list should make you think and it should expose you to music you may not have heard before. If you’re reading this blog or Spin or any other music criticism, I would hope that it’s for that reason, and not because you want to have your pre-existing opinions validated by some random writer. With their list, Spin challenged readers, and frankly most of them weren’t up to it. They just wanted to read the list and see the same names they always see on these things, as if someone’s opinion that Jimi Hendrix was a really good guitarist somehow needed more validation from a music magazine in order to be legitimate. Spin‘s views on what makes a great guitarist mirror my own somewhat closely. My opinion on it is this: the point of music is to make you feel emotion and to make you think. Guitar is one way to do that, and certainly having a lot of technical ability on the instrument helps. But at a certain point, if things get too technical or show-offy, the emotion in the music is lost and it simply becomes an exercise in the guitarist showing off his skills. I’ve never related to the canonized list of great guitarists, which always has placed an emphasis on masturbatory guitar solos and pure technical skill over the ability to conjure emotion, when the entire point of music is that it should make you feel things. Take Kurt Cobain. He is usually ranked high on these guitarist lists, and in any comments section you can bet there are multiple people saying that “he could barely play guitar” or that “he only played three chords.” But none of that is really important. What’s important is that Cobain was the guitarist of a guitar-driven band that had a massive emotional impact on tons of people. So how is he not a great guitarist? 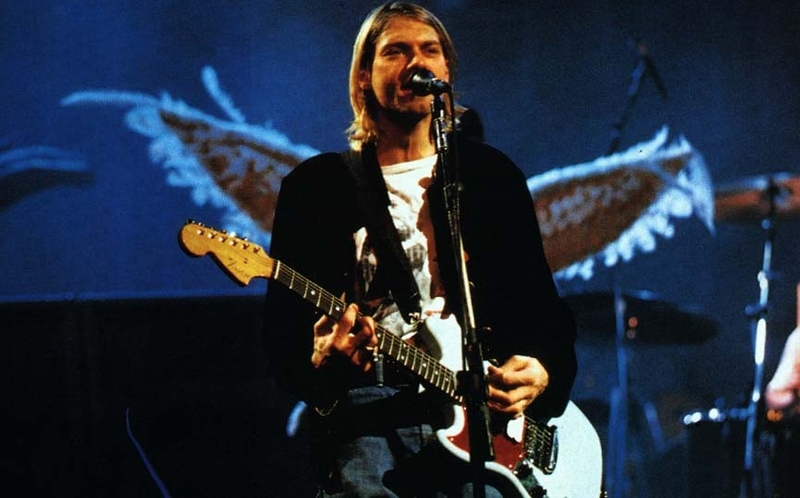 Cobain may not have been show-offy on the guitar, but he used it to make people feel things on a visceral level, which is what a guitarist should do. But these are just my opinions, and they’re probably different from yours. That’s why music is great, and that’s what made the Spin list great. It embraced the inherent subjectivity of these lists, and instead put the focus on a different group of artists that are rarely recognized by the music elite (like, you know, women). In doing so, they pissed off a lot of self-righteous guitar snobs and stupid internet commenters, but for people with an actual open mind it sparked a lot of interesting discussion. Author joshe24Posted on July 13, 2012 July 13, 2012 Categories UncategorizedLeave a comment on What Makes a Great Guitarist?